Texas, like many other conservative states, has strived to make it difficult for women to have abortions. Recent state laws have forced dozens of clinics to close and left some regions without a place for women to go. But Texas has one option that makes abortions relatively accessible, and that between 300 and 500 pregnant teenagers use every year. Instead of seeking parental consent to terminate a pregnancy, girls younger than 18 can ask a court for approval under legal conditions less stringent than in many other states. About 20 percent of the abortions performed on minors in Texas in 2013 came through this court process, about double the proportion elsewhere. Soon, though, the so-called "judicial bypass" may become less accommodating. Conservatives are now targeting the teenage cases as part of their latest legislative assault on abortion. New bills introduced in the current session would make it harder for girls to prove they shouldn't have to seek parental permission and more difficult for courts to give approval. "We don't want this to be a loophole for the abortion industry to shepherd girls through," said Elizabeth Graham, director of the Texas Right to Life organization, which helped draft some of the 21 anti-abortion measures now before the Legislature. Courts shouldn't be used to "exploit pregnant teenagers," she said. But increasing the obstacles will only torment girls who are already in crisis, said Democratic Rep. Donna Howard of Austin, who is arguing to keep the current system. "To further obstruct access to a minor facing a very traumatic situation seems, at best, cruel," Howard said. "Some of my peers don't want to stop until there is no access to abortion, period." Most teenagers who become pregnant talk to their parents if they want an abortion. In some cases, though, doing so may be difficult or dangerous, according to groups that work with pregnant teens. Examples include when a teen's father is in prison and her mother dead, when a teen has been abused and fears her pregnancy would prompt more violence, or when the teenager is homeless or neglected by her parents. Under state law, a young woman can apply for legal approval at a courthouse. She has to prove to a judge that she is mature enough to make the decision, or that telling her parents would lead to physical, sexual or emotional abuse, or that consulting them would otherwise not be in her best interest. Girls whose parents refuse permission can also use the bypass process. 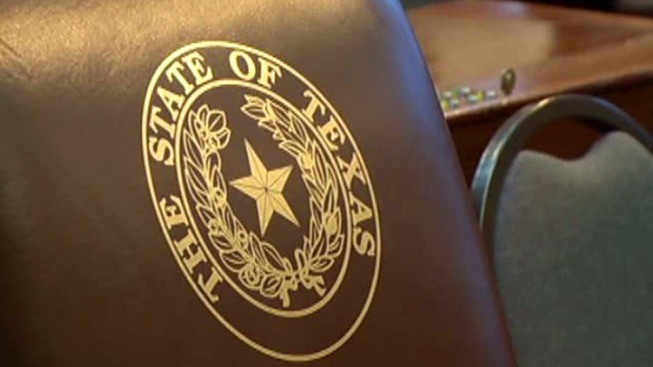 The procedure was established in 1999 to help Texas' parental consent law comply with Supreme Court rulings mandating that parents couldn't have an absolute veto over a daughter's decision to end a pregnancy. But the rules drafted for the Texas process wound up being less onerous than those in many of the other 37 states with similar laws. The teens can apply in any county, rather than just their home county, and if a judge does not rule on a case within two days, the girl's application is deemed granted. The percentage approved isn't known because courts aren't required to report statistics on abortion cases. The new legislation would limit applications to a girl's home county require more substantial proof of her maturity and fear of abuse. "We're not trying to get rid of judicial bypass, but it should only be used in limited circumstances, in very exceptional circumstances," said Fort Worth Republican Rep. Matt Krause, the sponsor of one measure. Another proposal by Republican Rep. Ron Simmons would require public disclosure of judges who grant judicial bypass applications. The judges should "be held accountable by the electorate," Simmons said in an email. At least some of the new restrictions are expected to be approved by the Republican-controlled Legislature. Susan Hays, a lawyer and founding board member of Jane's Due Process, a nonprofit that works with pregnant teens, said she usually encourages young women to talk to their parents rather than go around them. But she said she understands why some don't. She described one young client who was living with her grandparents and taking care of younger siblings after her father had beaten and injured her. She describes the girls typically as "Type A overachievers who want something better." El Paso Lawyer Karen Pelletier said none of the 10 judicial bypass cases she's handled has been frivolous. "They've been dealt a very sobering event in their lives, when they become pregnant," Pelletier said.